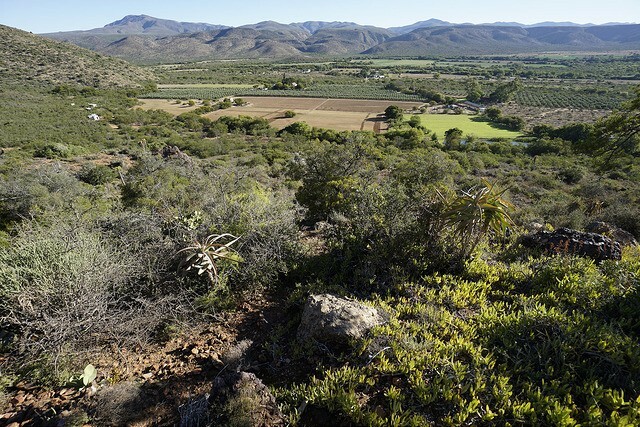 Kamerkloof - A fun 'plaas stappie' and gentle climb to a lookout point of the Studtis area. The walk also includes a short walk to the old Police Station and cells. Look out for enon conglomerates and giant Euphorbia trees along the way. This walk takes you to a beautiful view of the valley and is a wonderful place for sunset viewing and sundowner drinks.